Triumphant Victorious Reminders: Reminded by a dog named "Hachi"
"Those that wait upon the Lord shall renew their strength, they shall mount up with wings as eagles, they shall run and not be weary, they shall walk and not faint." Have you ever seen the movie, Hachi A Dog's Tale? Richard Gere, Joan Allen and Cary-Hiroyuki Tagawa are the principal actors in this amazing movie. I saw this extraordinary movie for the first time today and I admit, I wept uncontrollably. To see the loyalty of a dog who was incredibly grateful to his master, portrayed by Richard Gere. The matchless gratitude of this beautiful animal towards his rescuing master was undoubtedly humbling. I was sadly reminded the lack of gratitude towards my God in comparison to this loyal creature whom God created. 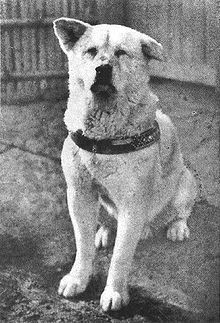 This is an actual photo of the real life dog, 'Hachiko' who lived from November 1923 to March 1935 in Japan. You see, this movie is based on the true story of a college professor's bond with the abandoned dog he took into his home. Pondering what I had just seen as the credits rolled before my eyes on the television screen, reminded me of a small glimpse of our powerful, rescuing, redeeming adoption story by God through Jesus Christ's beloved action of love poured out upon us, revealing the Love of God over our lives. Truly think about this...I mean really think about it...Wow! We get to call our God, Abba Father. Incredible! Yet, even in this triumphant, glorious reminder of my redemption, I still do not wait upon the Lord as I desperately need to. What if I have to wait for days, weeks, months or even years? 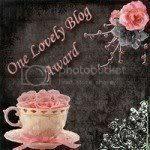 Am I willing to be obedient and wait? I cannot muster within my mind such a feat...a feat to wait! O, to watch this movie as this dog waited for his master every day for the rest of his life was so heart wrenching. No matter the awestruck observer's who would watch Hachi wait daily for his master, they attempted to talk to this beautiful dog. They would say, "Hachi, he's not coming back". Yet, as though this dog could understand them, he wasn't moved by their gentle facts, he was ONLY moved by the true love of his master. Are we more moved by the True Love of our Master? Or are we moved by the circumstances that seem to grow more dim, especially when we can't 'feel' His presence at different times in our lives? A lesson learned today by all things, a loyal animal, a dog. O how amazing to see that God can utilize anything in creation that He wants to. His creation reminds us of His glorious love that craves to be desired by each of us so that we can live a super, overflowing, abundant life in Him, not missing out on the blessings that He so craves to pour out upon each of us. Be reminded today that God truly desires His glorious presence to be revealed in and upon our lives in the midst of abandonment, hurt, betrayal, disappointment, and offense. Wait on Him...and watch His strength be revealed in the midst of the waiting. What a perfect reminder, Teresa! I think of this quite often as my dog so loyally waits by my side and wants my companionship more than anything. God wants our companionship more than anything as well. He is so patient with us! Sometimes I become weepy when I think of how long my dog has to wait for me but is so very willing and never holds a grudge, but just gives her love and affection so tenderly and so unconditionally! I haven't seen this movie, but there is something about these dog movies that just tear me up! I suppose it is the love and the purity and their overwhelming similarity to God! I had not heard of this movie. I will have to find it and watch it. What an amazing story.